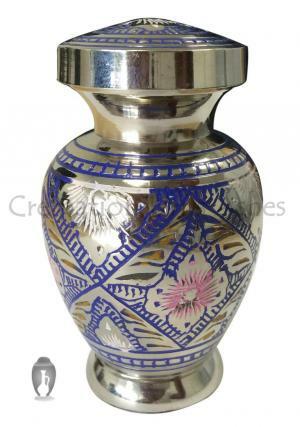 This vase shaped Arch Keepsake Urn is in golden metallic looks. With the floral pattern engraved in it, it has fine shiny looks which attracts the eyes of the viewer from any corner of the room. 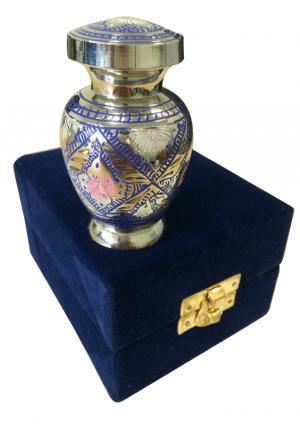 The material used in this urn is solid brass and it is handmade by our highly creative and experienced craftsmen like all other urns in our collection. 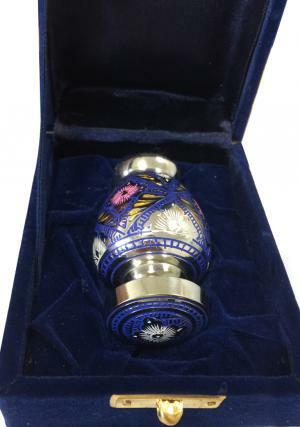 Our urns are supplied with a presentation box. 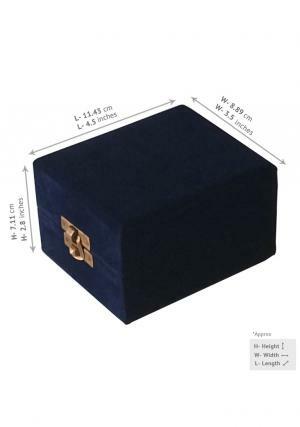 This box has a layer of velvet cloth in it to keep the urn protected from any scratch. 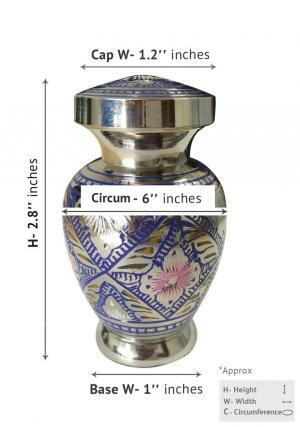 The cremated remains can be placed inside this urn through the threaded lid placed on the top. It has a dimension of 2.8" height and it weight around 0.3kg. This artistic piece is a wonderful memorial for your loved ones. Its classy and rich golden looks, shows the depth of the bonding and emotions with the loved ones. 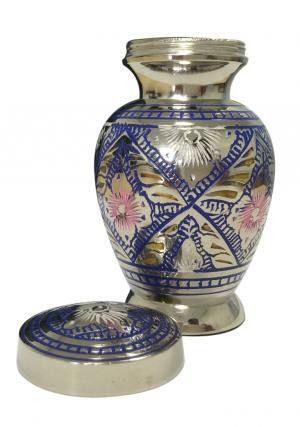 The huge amount of attention is being paid to every little detail like engraved designs, shiny materials so that you feel ensure about the quality and feel proud to have it and display it in your place. You can say they are handcrafted with love.